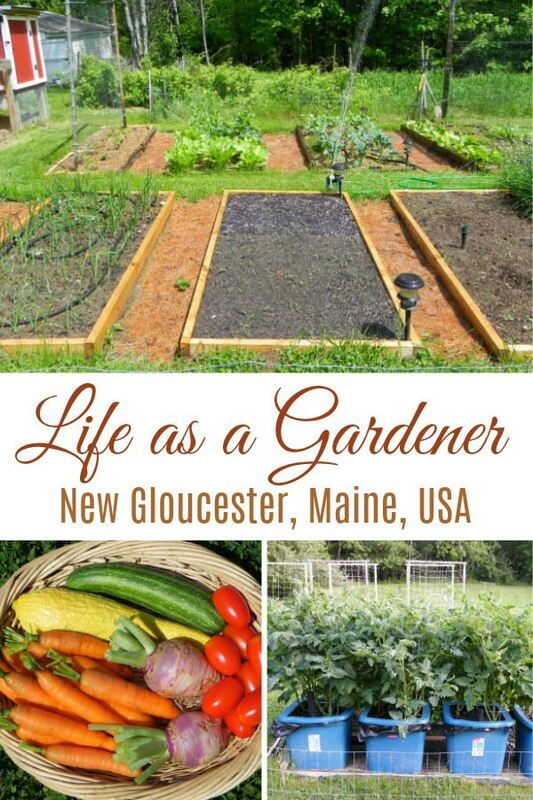 Today we’re looking at life as a gardener in New Gloucester, Maine, USA, with Rachel of Grow a Good Life. This is part of a series on favourite garden bloggers to inspire your garden life. Garden: My gardening is focused on growing organic food for fresh eating and to preserve for winter. I grow a vegetable garden, along with fruit trees and bushes, including, apples, pears, blueberries, raspberries, and grapes. In the vegetable garden, I use a mix of gardening methods, including square foot gardening, vertical gardening, and no dig gardening. 1 Tell us where you’re from and how you ended up where you are now. 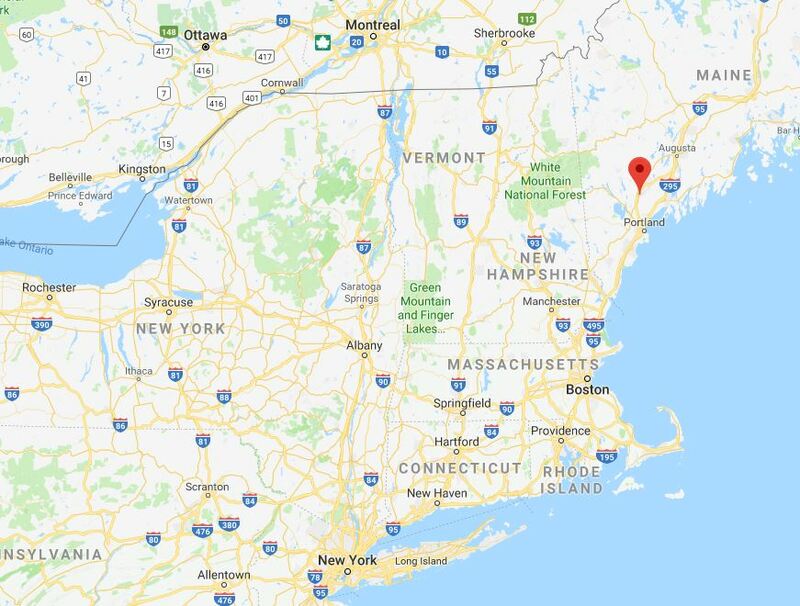 I grew up in a small town in Northern New Hampshire where my family tended several large vegetable gardens on our property. My grandparents did most of the work in the gardens and preserved the harvest. I have early-childhood memories of pestering my grandfather with my endless chatter as he planted the garden, hoed weeds, cut small saplings to use for pole beans, and edged the garden. I didn’t share in the chores of gardening or really learn how to garden from my elders through direct instruction. I guess I was too busy to pay attention. Even so, the seed was planted. 2 How did you become a gardener? I have always gardened in one form or another. As a young adult, I lived in apartments and grew fresh herbs and attempted to grow some vegetables in pots while dreaming of a future in a home of my own with a yard and a vegetable garden. Finally, I purchased a home on a few acres in a rural Maine. I’ve been gardening here for over 15 years. 3 Tell us about your garden. What are the perks and challenges of gardening where you are? Our property came with an established vegetable garden, but I discovered quickly that it was infested with weeds, and the soil was in great need of improvement in both structure and nutrients. The immediate challenge for the vegetable garden was to reduce the amount of weeds and build up the soil. 1. 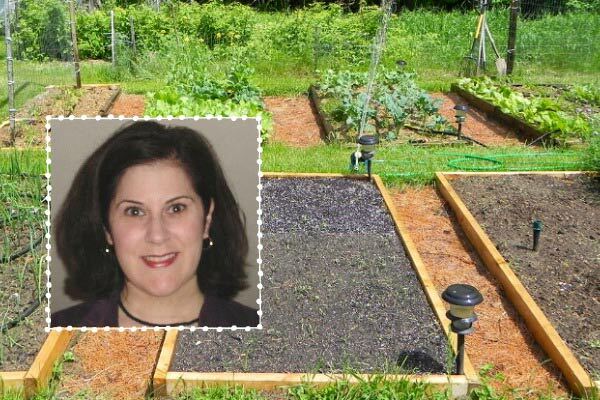 Converted to Raised Beds: Over several years, I converted the in-ground garden to raised beds, filled them with fresh soil, and followed the Square Foot Gardening method. The new raised beds provided a fresh start with healthy and weed-free soil that allowed my plants to grow and flourish without competition from weeds. 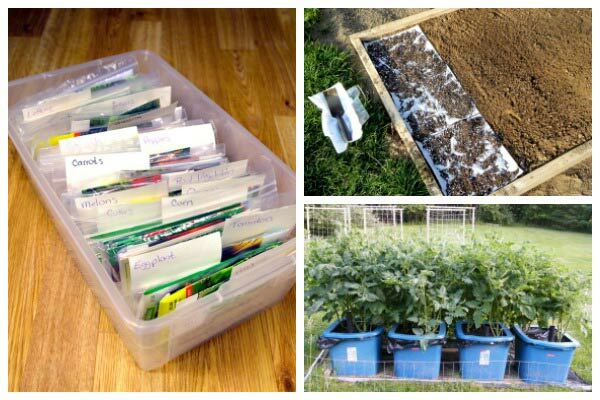 Read more here: Square Foot Garden: A Quick & Easy Way to Begin a Garden. 2. Mulched the Garden Beds: I began exploring different ways to mulch the gardens to help keep the weeds down. I’ve tried various mulches over the years and discovered my favorite organic mulches are straw, pine straw, and leaves. Read more here: 5 Ways Organic Mulch Helps Your Vegetable Garden. 3. Nourished the Soil with Compost: I was lucky to have an old bin on the property with some nicely aged compost. I built a second compost bin and began making my own. I started weeding the garden as soon as the ground could be worked in early spring. I added compost and layered the soil with various types of mulch to prevent weeds from growing. I stopped tilling the garden and continued the routine of weeding and mulching. The soil improved over time, and I began to see more earthworms close to the surface. The plants responded too with healthier growth and improved production. Soil: The soil pH in Maine tends to be acidic, which can affect the nutrients that are available to your plants. We counter that with lime and wood ash. Short Growing Season: Our summer growing season is short with frost-free days ranging from mid-May to mid-October. High Humidity: Humidity levels are high in July and August. Morning dew lingers on plants making them susceptible to mold and fungus diseases. Frequent Rain: Rain throughout the growing season makes it easy to keep the garden watered. We often have stretches of several weeks at a time without rain where supplemental watering is required to keep the garden growing. However, no prolonged dry periods as experienced in other parts of the world. Warm Summers: Our summers are warm with an average temperature of around 75˚F (24˚C) for the months of May, June, and July. This gives us an ideal window for most heat-loving gardening crops. Spring and fall are much cooler, but we adapt by growing cool season and frost tolerant crops and utilizing hoops and tunnels for protection. Read more about gardening in Maine Zone 5 here. 4 How has gardening changed you? Gardening has re-connected me with nature in a way I have not experienced since I was a child. Simply listening to the birds and bees around me as I weed or harvest calms my mind and nourishes my soul. Even when things are busy, I try to get out to the garden at least once a day even if it is just a walk through the paths with my morning cup of coffee. Growing a vegetable garden has taught me to eat in season-crops at the height of their nutrition and flavor. I cook more at home because I enjoy exploring different recipes and ways to prepare harvested vegetables so meals never become boring. Gardening has taught me how to be more organized. I enjoy planning the growing season in early spring when the ground is still covered with snow. I love working on a seed starting schedule, plotting out a garden map, and planning on the amount of crops to grow to preserve for winter. 5 Any fabulous gardening or DIY mistakes to share? My first or second year gardening, I thought those flimsy tomato cages would support my tomatoes. I didn’t know the difference between determinant (bush) and indeterminate (vining) tomato plants back then. It was mid-summer, and the plants were loaded with heavy green fruit. However, the cages were no match against a storm that blew through. The wind blew, the cages bent over, and the tomato plants tumbled to the ground on top of other crops. We managed to prop up the plants with everything from broom handles to fencing stakes, but many of the vines and tomatoes were damaged. I learned my lesson, and now rely on more robust ways of supporting indeterminate tomatoes. See how to make them here: 9 Creative DIY Tomato Trellis Ideas. 6 What are you exploring in gardening these days? I am in the early stages of planning a new garden dedicated entirely to herbs. I will grow herbs both for consumption and herbal remedies. I have always wanted to delve into learning more about herbalism and creating herbal teas, lotions, and soap making. 7 What do you hope visitors to your site experience? I hope to encourage visitors to grow their own food from keeping a few herbs in pots on the kitchen windowsill, to growing edibles indoors under lights, to planning a backyard vegetable garden. 8 Can you share a good tip or advice for new gardeners? Start with a small vegetable garden. It’s very easy to think big in the spring and then find that you can’t keep up. This can lead to frustration and the urge to give up on your garden. Don’t dig up your whole backyard and plant a large garden if you don’t have the time to water, weed, and harvest. Gardening can be an enjoyable and rewarding hobby if you plan it right. Begin a smaller-scale garden instead of a large one. You can always expand in the future. Plus, it is easier to learn how to care for your garden on a smaller scale. 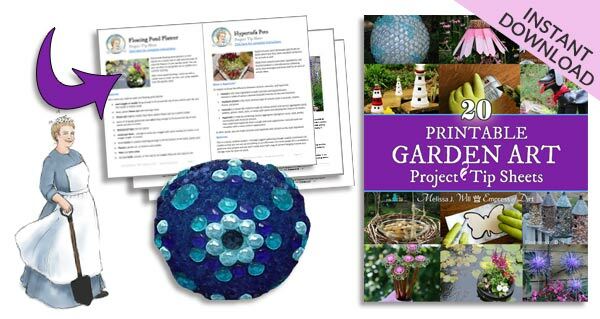 9 Have you got some DIY projects for a rainy afternoon? This DIY self-watering container project is one of my most popular tutorials. Self-watering containers are perfect for container gardens because they can be located anywhere in your yard, on your balcony, or along the edge of your driveway. Making homemade seed mats is one of my favorite rainy-day projects. Once the mats are dry, they can be stored in zipper bags until you are ready to plant. Organizing seeds and making a seed list for the next growing season is always a fun project for a rainy day. Join Rachel here at Grow a Good Life.